This delicious recipe has been generously shared by Melissa Dommert. Melissa is a keen cook, and most of her recipes are family ones, this one being one of the oldest family recipes she has! So without further ado, let’s introduce Melissa! This family recipe is truly a taste of Cajun country where folks are already sitting at the table drinking coffee and eating breakfast by the time the rooster crows. 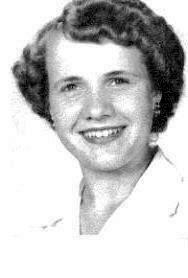 Mama (Patsy Paul) made countless batches of biscuits and tomato gravy in her lifetime. I miss her every day. When I’ve had a rough day and need to feel close to her, I come home and make biscuits and tomato gravy and I’m reminded of her love for her family and for cooking. When I smell the roux cooking, I almost feel like I’m back in Mama’s kitchen…one more time. I’m sure she learned to make this from her Mother, Carmen Inez Shirley. I know it’s just simple biscuits and gravy but for me this is “the dish” that puts my feet back under my Mama’s table. Recipe by Melissa Dommert and her Mama. 1. In a skillet, stir flour into grease over medium-high heat. Let flour cook and brown, keep stirring, don’t let it burn. 2. When roux has browned, pour water into skillet, while stirring with a whisk. 3. Whisk in tomato paste until well blended; when gravy begins to thicken reduce heat to low. 4.Add salt and pepper to taste. You may need to add a little more water if gravy becomes too thick. Some folks use chopped fresh or canned crushed tomatoes or tomato sauce in place of the tomato paste proving that there‘s more than one way to paint a barn! Serve with love over hot buttermilk biscuits along with bacon or sausage for breakfast, brunch, lunch or dinner. Morning, noon or night, you’ll feel the love because your heart and your tummy will be full! If you’d like to make some nice Buttermilk Biscuits to go with this gravy, click on the photo opposite. they’re ever so easy to make and fluffy too! ½ oz small can tomato paste about 3 / 100 g.
In a skillet, stir flour into grease over medium-high heat. When roux has browned, pour water into skillet, while stirring with a whisk. Whisk in tomato paste until well blended; when gravy begins to thicken reduce heat to low. Add salt and pepper to taste. You may need to add a little more water if gravy becomes too thick. My mom always made a meatloaf gravy very similar to this. But we just used drippings from the meatloaf and used canned tomatoes (of course until a few yrs ago I canned my own tomatoes which was even better). Good over the mashed potatoes too. Thx so much for the recipe. Haven’t had any in long time. Think I’ll have to make some for my 88 yr old mom tmw! My mother in law introduced me to this 60 years ago when I first dated my husband. I make it both ways but my husband prefers whole tomatoes. We pour it over buttered bread and it is so delicious. When the kids were small and money was tight it sure did stretch a dollar! Thanks for bringing back some fond memories. I grew up in Mississippi eating tomato gravy! Love it. Instead of the paste and water, I use canned diced tomatoes and tomato sauce. Hi Barbara, that sounds wonderful! 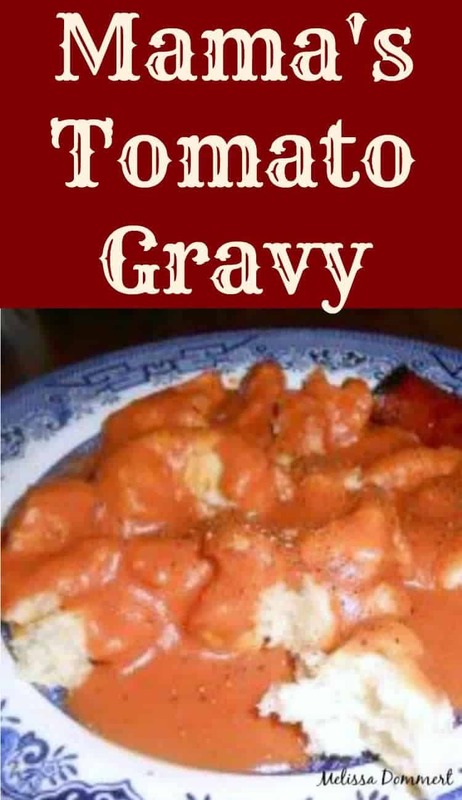 I think every family who grew up with Tomato gravy has a very ‘special’ recipe and must bring back wonderful memories. Thanks so much for writing in and sharing how you make yours. It’s lovely to hear everyone’s comments! Hi Nanny! I’m so happy it took you down memory lane! It certainly is a real family recipe. Maybe you will get to make it again soon, just like your grandmother did too! I have never ever heard of tomato gravy and biscuits. Love learning new stuff! Thanks Patty! This is a very old recipe and I’m sure for many, will bring back wonderful memories of childhood, for those who use to have it cooked by ‘grandma’! Thank you so much for sharing your Moms recipe 🙂 It sounds fantastic and pinning this as well as passing it along on fb. I’m glad you like it Jodie! Thanks very much for sharing too! Looks delicious! Thank you for sharing, Melissa. Thanks Andrea. I will pass on your comments to Melissa. She will be very happy!